The grievor was under a last chance agreement when he was found smoking. The union argued that the infraction did not even call for discipline. The arbitrator found that it did and the grievor's termination was upheld. 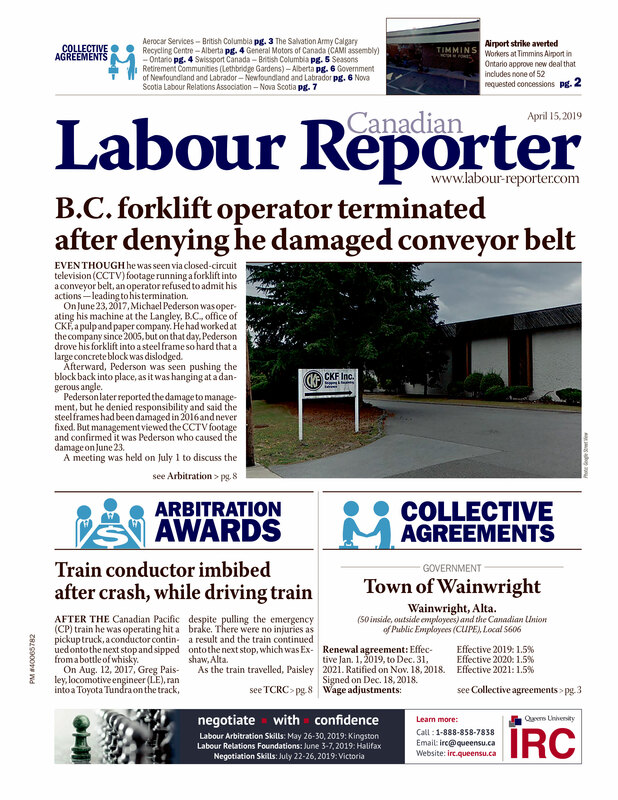 After returning to work under the terms of a conditional reinstatement, a worker was fired after he was observed smoking outside the plant in a non-designated area. K.W. worked at a steel processing plant. Hired in 1998, K.W. was working as a Bander in the company’s Storage/CTL Department when he was fired for the first time on July 7, 2011.